The bestselling Java book is now better than ever. 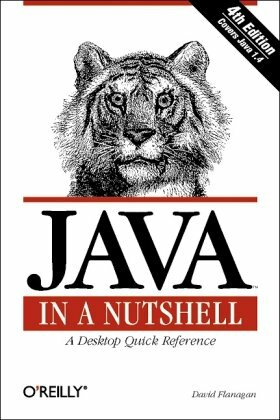 Java programmers migrating to 1.1 find this second edition of Java in a Nutshell contains everything they need to get up to speed. Newcomers find it still has all of the features that have made it the Java book most often recommended on the Internet. This complete quick reference covers all the classes in the Java 1.1 API, with the exception of the Enterprise APIs, making it the only quick reference that a Java programmer needs. This book focuses more on the details of a hands-on approach to Web Service programming than its specifications. In order to help readers grasp the concept, we provide a brief introduction to Web Service, SOAP, and WSDL in the first three chapters. Design patterns are solutions to general problems that software developers faced during software development. This tutorial will take you through step by step approach and examples using Java while learning Design Pattern concepts.